The trick with being completely transparent is that you are committed to travel the road you chose. For me, it's not enough to poke holes in the Great Mike Dillard effigy, but I have to test his scene out and walk my talk. 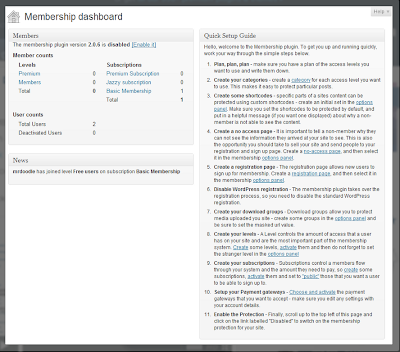 I can tell you one thing - the technical backend of a membership isn't for the faint-hearted. The story begins with setting up a Wordpress installation - which is pitifully simple by itself. Since none of these really matched up with the promises of Insta-Member, I went back to see what the free plug-in's offered. Found one by the WPMU-DEV community, called "Membership." go into your Wordpress Installation by logging in as admin. Click on their plug-in out of the 2 pages of choices, and it will install simply. What this does is to give you a working membership instantly. You're now officially immersed in the detail-enriched world of a new learning curve. The reason I've gone through this and am showing you, is so you can see what you're up against. But this will get you started right off with no expense other than the time you need to invest. However, I won't be going there. Why? Well, it's not that I can't maneuver through this and set it up. I'll probably play around with this to get the feel of it, and leave it up for awhile to compare features. You want to be able to constantly improve your landing and sales pages, as well as opt-in forms. You also want to be able to instantly make all your subscribers into affiliates. This is an old Jay Abraham trick - you turn all your clients into evangelists and pay them for working for you. (This doesn't replace plugging in one or several external affiliate distributors into your membership - getting them to find your membership is indeed key.) Being able to communicate directly with your own affiliates and check their performance is key. This is the one drawback to Wishlist that Mike Dillard originally set up Elevation Group on - it has only external affiliate program integration. Probably more key than thought. You want to add your members to your mailing list for cross-sells and maintain that relationship. This simple set up will get you started from scratch - and you can get going with just this if you want. PS. 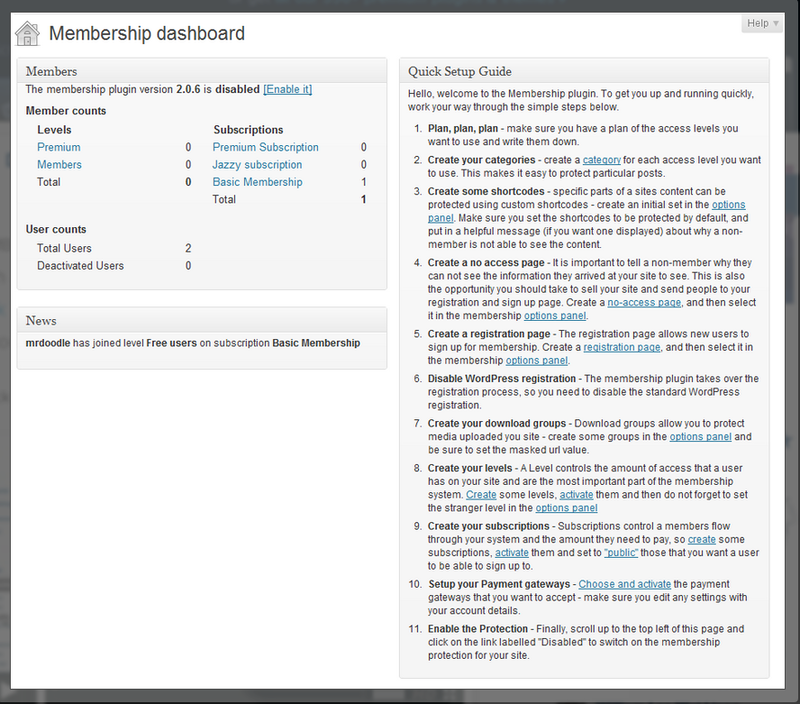 For more data, and a review of Wordpress Membership plugins, here's a link.